(May 11th, 2016) – 14 years later, the impact of No Child Left Behind (NCLB) has left the public education system wide open for sweeping changes. NCLB’s replacement, the Every Student Succeeds Act, requires the State to redefine how it grades schools. 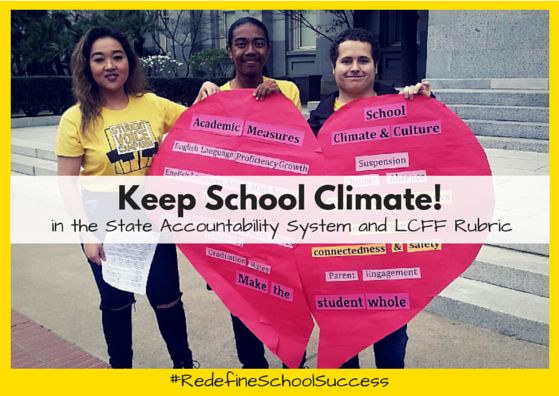 Since the passage of the Local Control Funding Formula in 2013, students and parents have worked tirelessly to ensure that LCFF’s promise provides an opportunity for all students to achieve their highest aspirations. 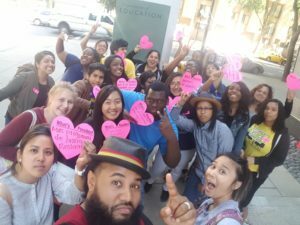 In 2014, hundreds of low-income students of color asked the California State Board of Education to require student input in Local Control Accountability Plans (LCAPs). Now, with California’s new grading system for public education up for big changes, low-income students of color set out again to ensure student voices on School Climate are heard. In a January California State Board of Education meeting, Californians for Justice student leaders, Alliance for Boys and Men of Color, Inner City Struggle Los Angeles, and PICO California insisted that the State Board of Education consider the importance of School Climate and Engagement when it comes to “school quality.” Their ask, “don’t leave School Climate and Engagement out in the cold,” prompted a conversation among educators and advocates. What is a good school? For low-income students of color and their families, School Climate- the out-of-classroom factors are just as important as academic achievement. In April, over 250 students, parents and educators sent postcards to the State Board of Education urging them to include a non-academic measurement of “school quality” in the new grading system for public schools. Marcia Gerston, a parent from an affluent school district, Cupertino Unified, agreed that Suspensions as a measurement for “school quality” is important. “Please take action for all our students and the impact (even if unintentional) that suspensions has on students of color, foster youth, and poor children. Let’s keep these students in school. School climate does count!” Gerston said in an e-postcard to the State Board of Education. For many low-income students of color, including Suspensions in the new grading system is about safety and taking the steps to create school environments where all students feel welcomed. Check out Draquari’s story in the LAtimes. Draquari McGhee a student in Fresno who was recently suspended for three days for talking on his phone while walking to class also thanked the State Board for prioritizing “Suspensions” as a measurement. He thought he was a bad student, until he reached out to a teacher by the name of Melissa Bangerter. Bangerter went the extra mile. She provided McGhee extra support and encouraged him to believe he had the potential to succeed his classes. California Student leaders and longtime labor and immigrant rights leader Dolores Huertas testified before the State Board Education urging the board to approve their staff’s recommendation to include Suspensions as one of the five measurements for school accountability. They held up pink hearts as they spoke. The hearts described what is now more possible for students now that the State Board of Education is thoughtfully considering other qualitative measures for School Climate, like School Climate surveys. 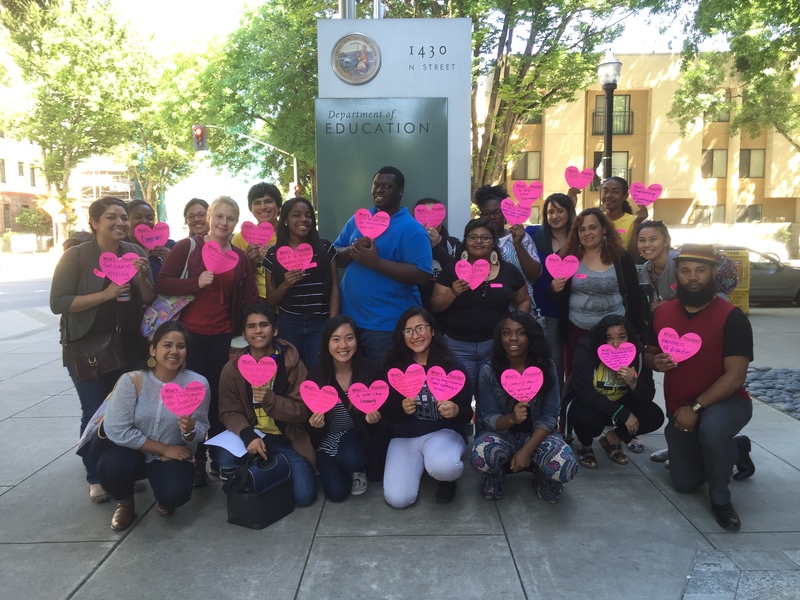 The hearts read, “more positive relationships,” “better staff,” “districts will go away from harsh discipline policies” and more. 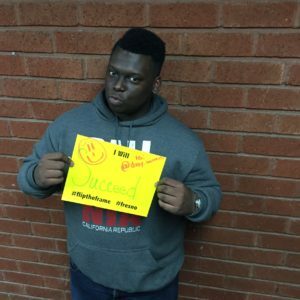 For Jaquon Morales-Watson, a student in Oakland, he believes School Climate is important because its about students feeling safe and enjoying being in school. Diana Cruz, a student in Long Beach, thanked the State Board for listening to students. In her words, she thinks it’s amazing how much our State Board is listening to the voices of students. Morales-Watson, also thanked the board. He welcomed and appreciated the thoughtful conversations on School Climate. only one aspect of School Climate. Students are looking forward to the next State Board meeting, July 13-14, where board members will discuss the option of including local school climate surveys in the Local Control Funding Formula evaluation.